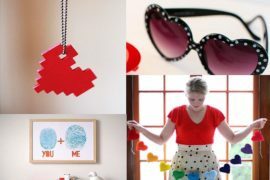 If you’re the type of person who waits as long as possible to take the Christmas decorations down, you’ll be happy to know that Valentine’s Day is a great excuse to dress up your home all over again in an effort to ward off those dreary winter blues. Now is about the right time to take that Christmas wreath down from your door and replace it with a Valentine’s Day-themed alternative. Yes, they certainly do exist! 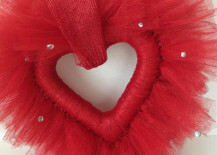 And they’re absolutely lovely. 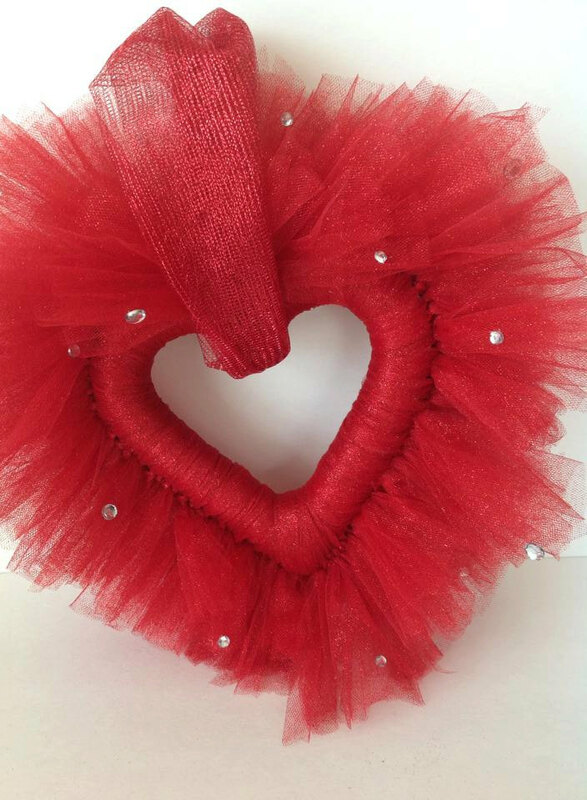 Have a look below at some of the different variations you can buy or make for yourself. 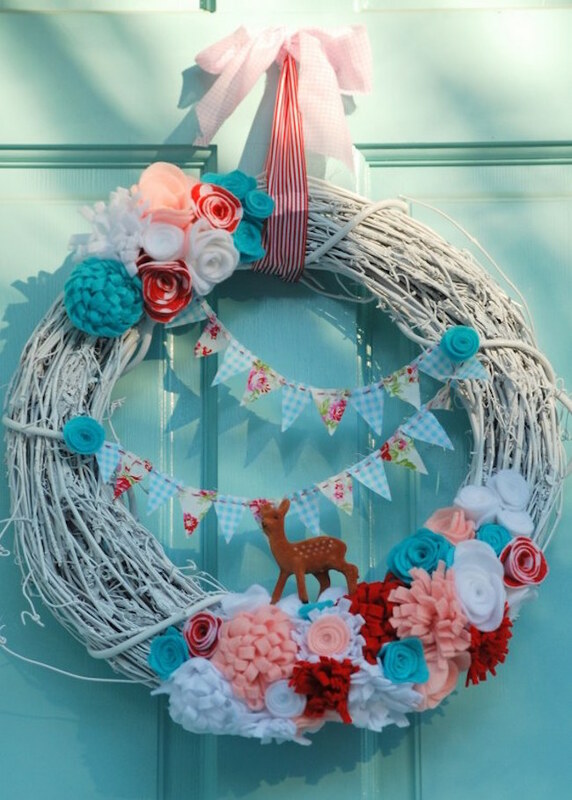 Everyone knows that Valentine’s Day is all about flowers and chocolate, and a flowery wreath certainly fits with that kind of theme! 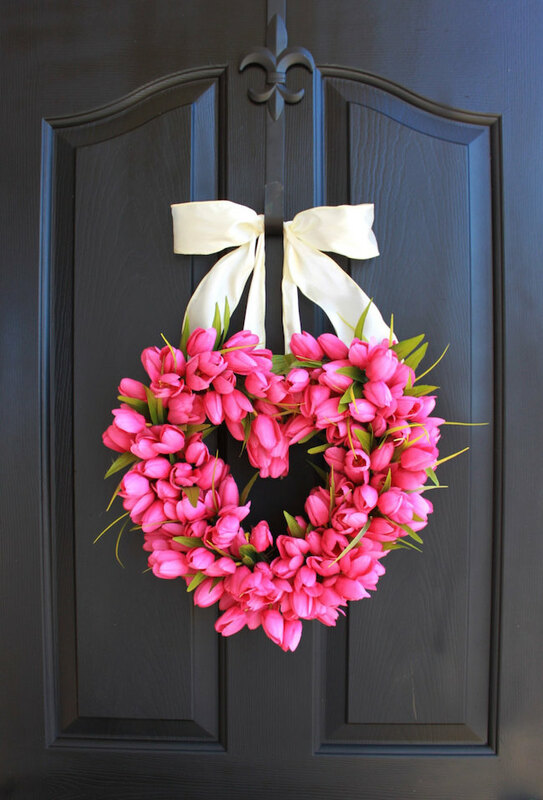 Have a look at this gorgeous pink tulip wreath from OurSentiments and this lovely heart-shaped grapevine wreath from TwoInspireYou made with artificial berries. 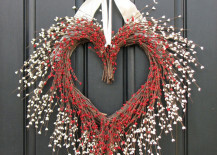 Going for a rustic look maybe? 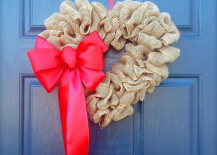 Then burlap will be your best friend! 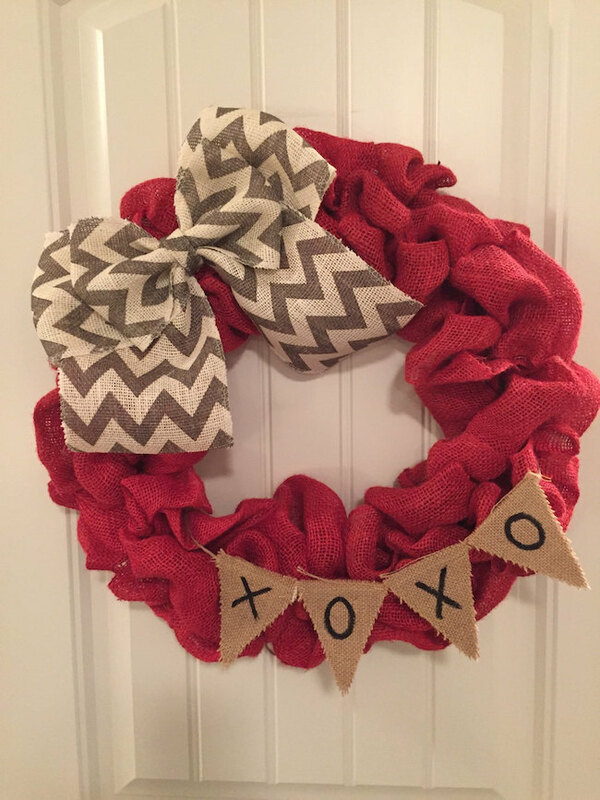 Here’s a simple heart-shaped burlap wreath from WreathsbyRebeccaB with a bright red bow as the finishing touch. 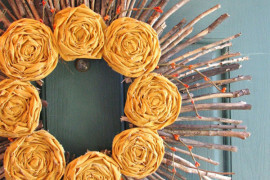 This is one type of wreath that would be easy enough to make yourself. 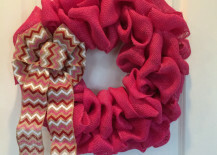 Burlap even looks great in bright colors! 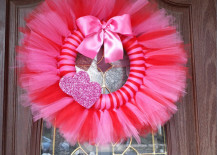 Have a look at these red and pink V-Day-inspired burlap wreaths from CustomaDOORables and NikkisWreathDesigns. 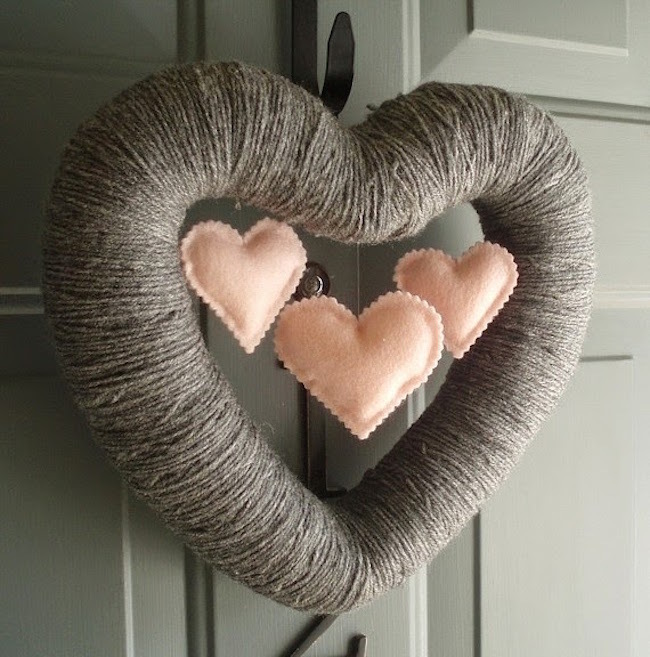 You don’t necessarily need to know how to knit to make a beautiful wreath out of yarn. 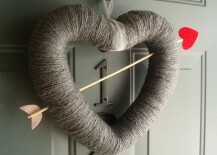 If you can wrap it around something circular or heart-shaped, then you’re all set! 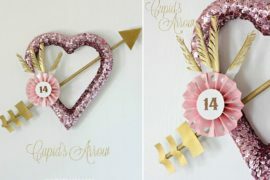 ItzFitz had the clever idea of making one with a Cupid’s arrow shooting straight through it, while Kufer featured a similar one with mini pink felt hearts hanging in the center. 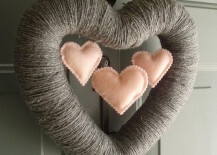 And hey, if you do know how to knit or crochet, then all the more power to you! 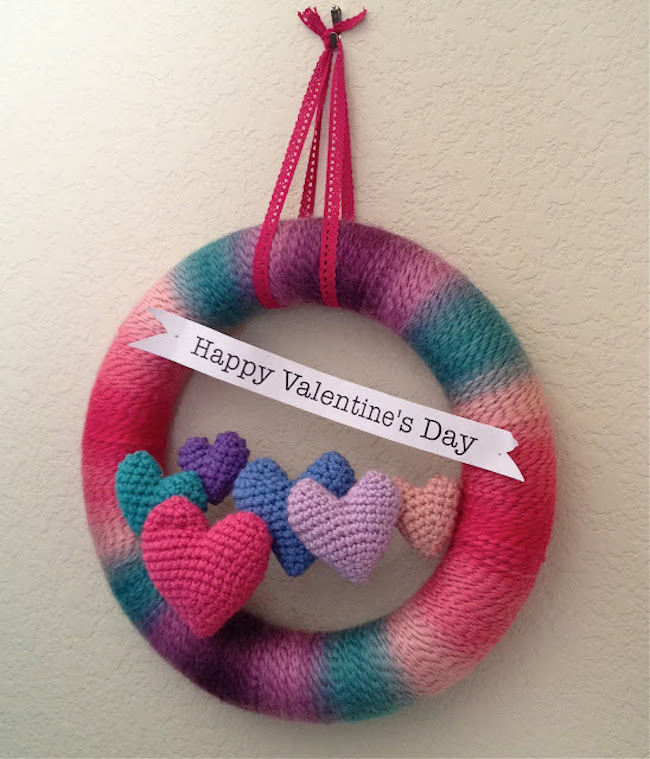 Crafty Is Cool featured this super colorful Valentine’s Day wreath with matching hearts in its center similar to the one we looked at above. 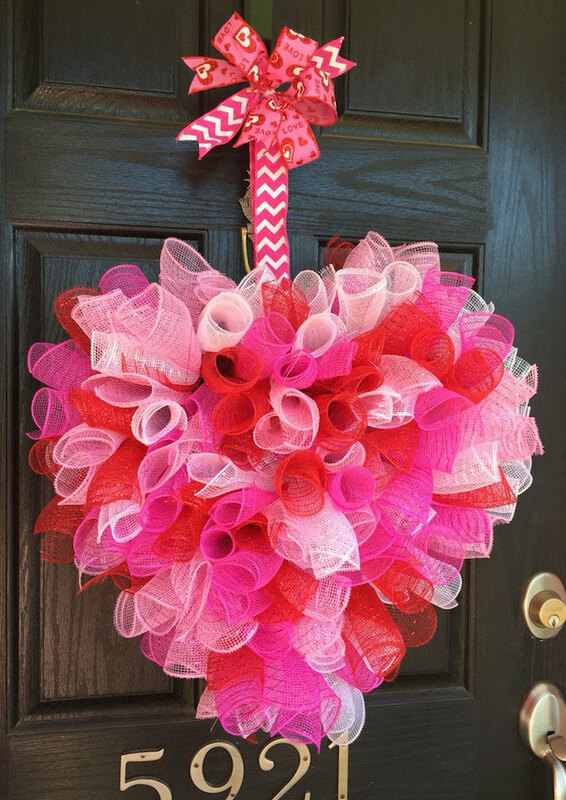 All of the wreaths we’ve looked at so far have been pretty striking, but you won’t believe your eyes when you see some of these super bright pink and red wreaths made with mesh, tulle and ribbon that really make a serious impact! 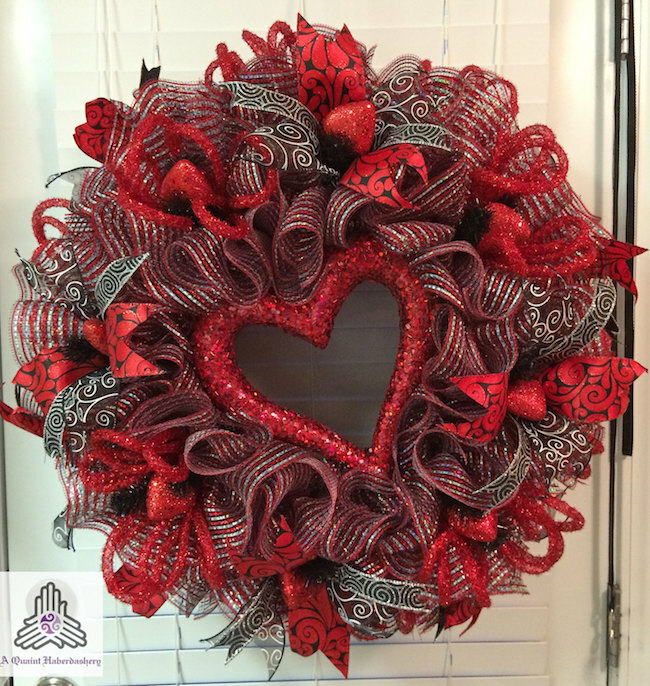 This first one from ShellysChicDesigns uses lots of curled pieces of mesh to create a heart-shaped wreath. 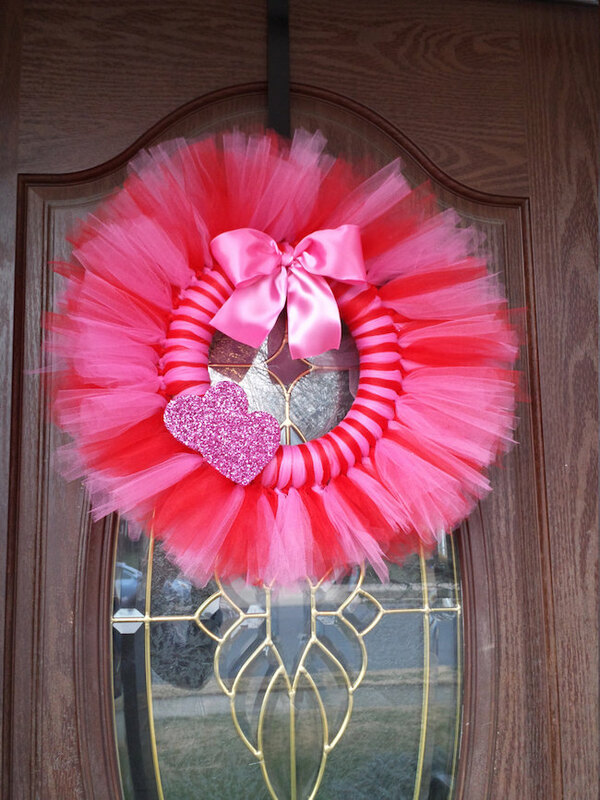 Love the idea of your Valentine’s Day wreath looking like a ballerina tutu? 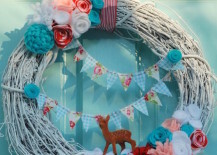 Then you should take inspiration from these incredible wreaths made of tulle fabric from OddsNEndsbyAly and FourGirlsFun. 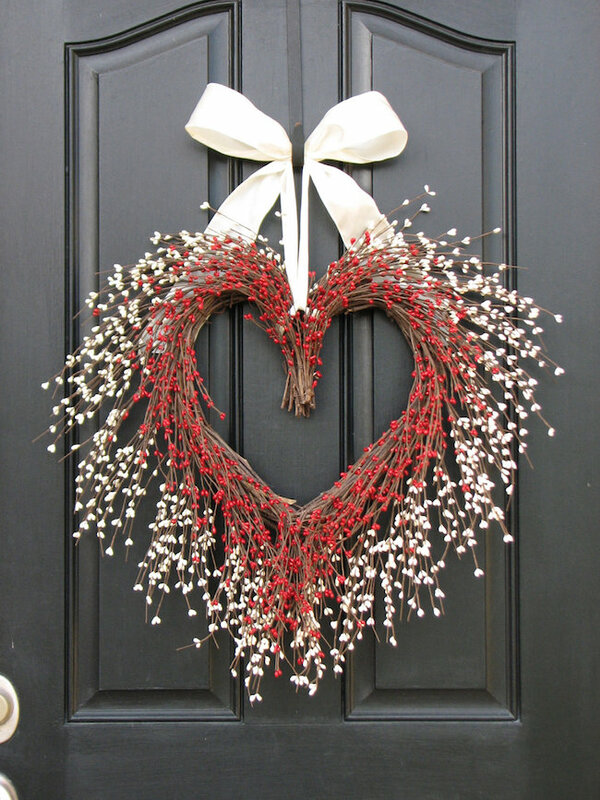 If you have any leftover red ribbon from Christmas, chances are you could use it for a DIY Valentine’s Day wreath. 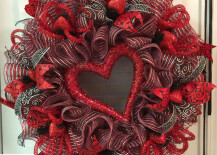 Check out this red ribbon masterpiece from WreathsEtcbyLisa. 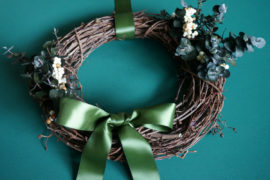 These are some unique looking wreaths, right? Well, we saved the best for last! 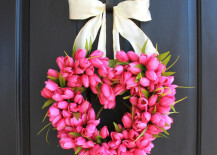 As mentioned earlier, Valentine’s Day is all about flowers and chocolate. 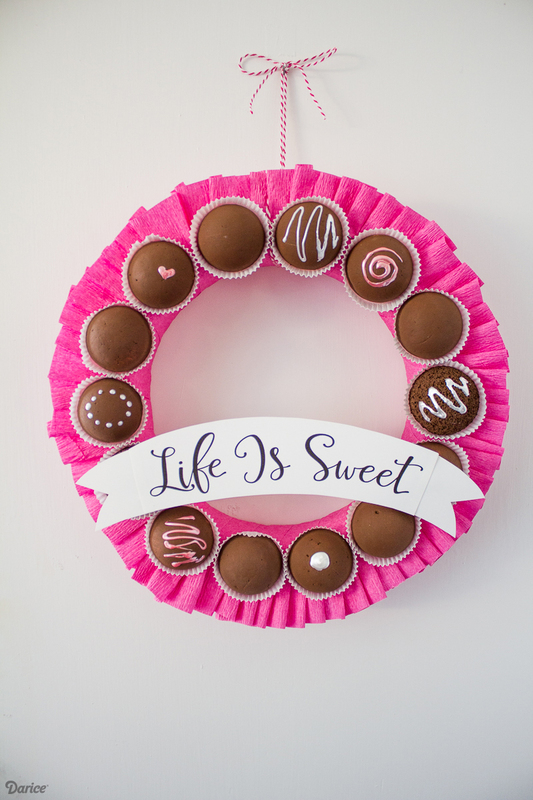 You’ve seen some flower wreaths… but how about a chocolate wreath?! 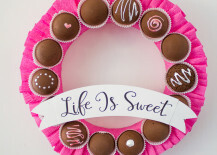 Yep, Darice has this incredibly creative and unique wreath tutorial that shows you how to create faux truffles out of durafoam balls. 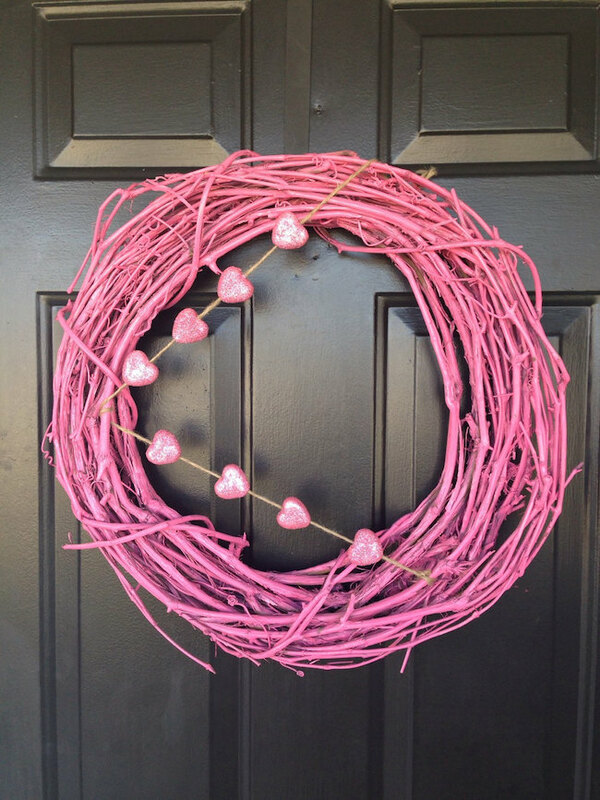 You could even just go and get a regular grapevine wreath, paint it pink and add a few small details that fit with the V-Day theme. 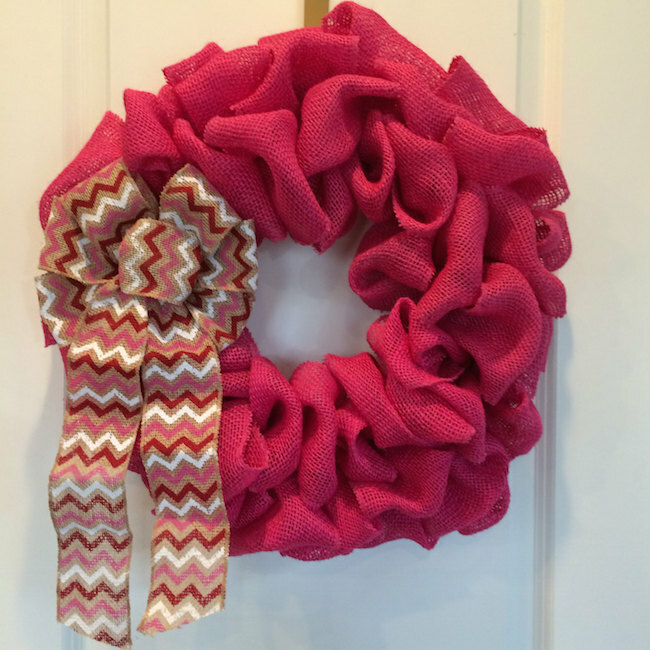 After all, it’s not every day you see a pink wreath! 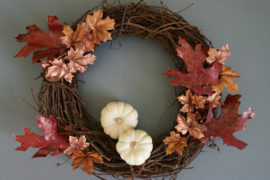 Here’s a great example of that from DandelionCraftingCo. 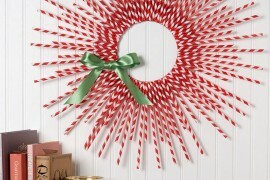 Lastly, there’s no need to stick to the red/pink/white color scheme if it’s not really your style. 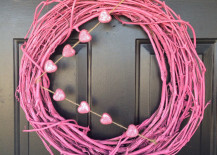 You can still create a great-looking Valentine’s Day wreath that’s all your own. 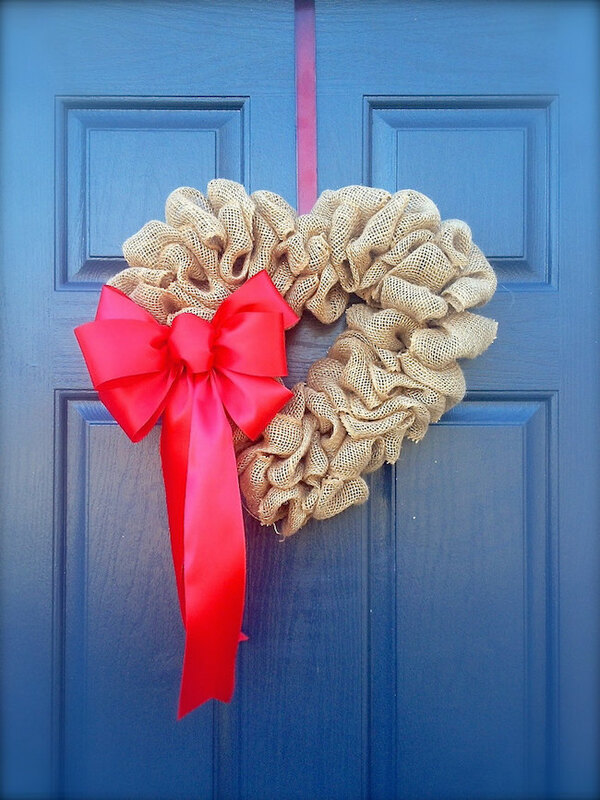 This adorable wreath idea from My So-Called Crafty Life is rustic, charming and fits perfectly with the color of that door! 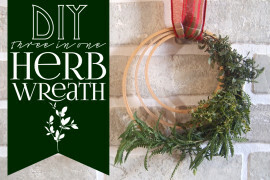 Almost any holiday (or faux holiday like Valentine’s Day) is a good excuse to get crafty with wreaths for your door. 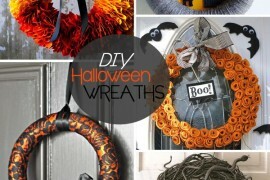 Time to get crafty!